Bespin looks great in Star Wars Battlefront, and so does our new hero/villain. Star Wars: Battlefront is getting its second add-on this week. That’s the Bespin DLC, in case you don’t remember. Bespin, as you may have guessed, is all set in Star Wars’ Cloud City. The expansion adds two new heroes, Lando Calrissian and the bounty hunter Dengar, as well as a new mode and maps. In the video below, BattlefrontUpdates plays with both heroes, showing off their abilities and going over the roles DICE is intending for them to play in the game. Dengar is designed as a tank, and can use his DLT-19 to hold down an area. One of his abilities helps him further in this role, granting him an armour buff over time. As for Lando, he’s more of longer-range hero, and his role has a nice nod to his character in the film. Based on luck, his trait grants him a random critical hit bonus. In addition, one of his abilities allows him to trick enemy players into thinking they’re about to pick up a power-up, only to be electrocuted. For all of this and more, watch the video. 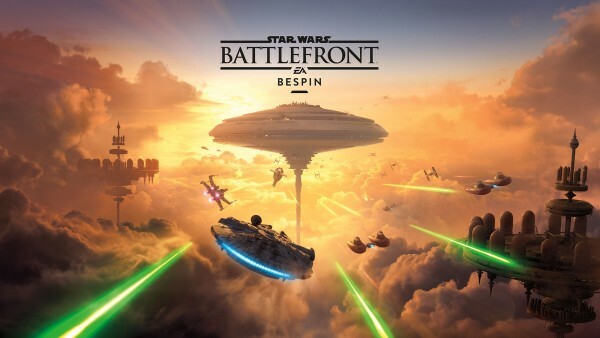 Bespin comes out June 21 for season pass holders, two weeks later for standalone buyers.